Skin problems associated with chronic venous insufficiency (CVI) and phlebolymphedema are common and often difficult to treat. 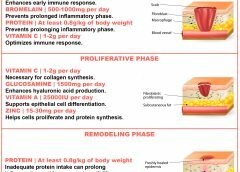 The CVI cycle of skin and soft tissue injury from chronic disease processes can be unrelenting. If not properly identified and treated, these skin problems can impede the prompt treatment of lymphedema and reduce a patient’s quality of life. This article reviews skin problems that occur in patients with CVI and phlebo­lymphedema and discusses the importance of using a multidisciplinary team approach to manage these patients. The dermatocellular and pathophysiologic changes that occur in patients with CVI and phlebolymphedema are a result of years of abnormal vascular and lymphatic flow. There is increasing evidence that the structural fibroproliferative tissue changes in this patient group are caused by fibrin cuffs and white blood cell activation and trapping. Fibroproliferation leads to thickening of the epidermal, dermal, and soft- tissue structures of the affected limb, which damages the skin capillaries and makes them less structurally sound. Once capillaries lose structure, lymphatic pressure increases and leads to lymphatic structural damage and phlebolymphedema. Scientists also have identified the abnormal expression of inflammatory cytokines, adhesion molecules, and growth factors in patients with CVI. In addition, they’ve found abnormal extracellular matrix in the dermal and epidermal layers. These cellular changes have been identified in patients with early-stage CVI, whose only symptoms may be swelling and dermatitis. Changes in the skin are a key way to identify the presence of phlebolymph­edema in patients. It’s important to recognize that many of these changes indicate that both CVI and lymphedema are present, which influences the treatment protocol used. 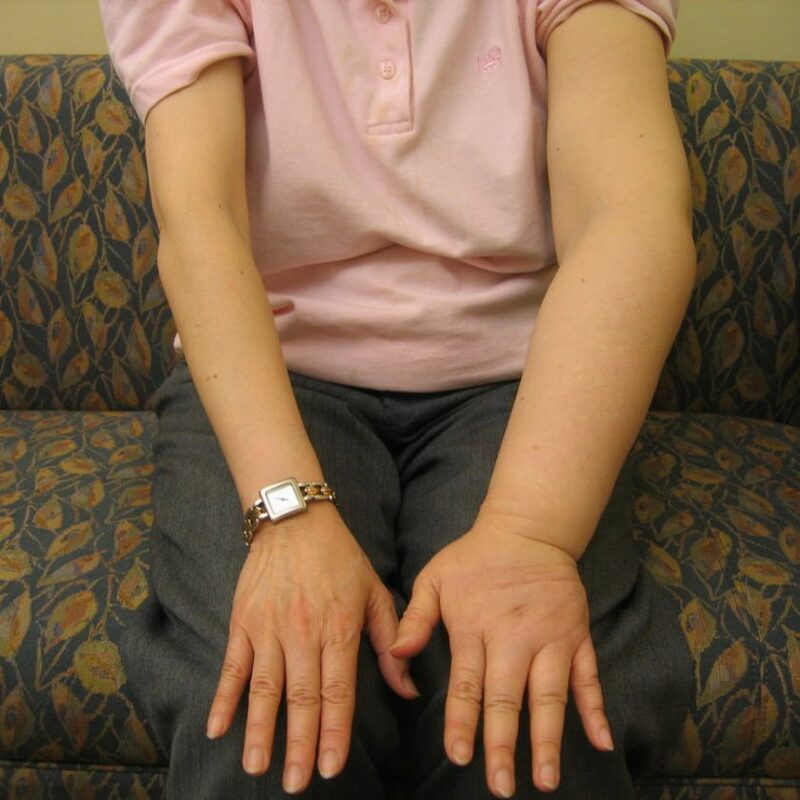 If lymphedema is present, for example, complete decongestive therapy (CDT) should be used if no contraindications exist. Descriptions and treatments for many of the skin conditions that commonly occur in this chronic disease process are included in the following list, which is organized alphabetically. Atrophie blanche lesions are fragile, smooth, ivory-white plaques associated with changes in the thin soft tissue. In patients with CVI, these lesions are a pre-ulcer state as opposed to a scar from previously healed ulcerations. Scattered petechial flecks are often seen within the atrophy tissue and hemosiderin pigmentations in the periphery of the lesion. Treatment for atrophie blanche isn’t agreed upon in the literature, but identifying the cause can help drive the development of individualized plans of care. The daily plan of care for CVI-related disease, for example, includes conservative compression therapy, limited use of low-potency topical steroids for 2 weeks, and therapeutic creams. Take special care when applying compression to areas of atrophie blanche to avoid secondary injury. Commonly seen in patients with CVI and lymphedema, cellulitis is a soft-tissue infection caused by a secondary bacterial invasion. It’s treated with systemic antibiotic therapy based on the severity of the presenting symptoms. In addition, topical antimicrobials are used to absorb and contain drainage. In cases of acute cellulitis, postpone compression therapy and manual lymphatic drainage (MLD) until the patient has been actively treated with anti­biotics and symptoms have improved. Excoriation with pruritus is a common complaint in patients with cellulitis and likely related to edema and release of mast cells. Treatment consists of routine skin care with fragrance-free, pH-balanced mild cleansers, therapeutic creams, topical steroids twice a day for 2 weeks, and compression therapy. Oral antihistamines may be beneficial in addition to a short course of systemic steroids. If there’s no improvement with treatment, refer the patient to a dermatologist. Patients with CVI and phlebolymphedema are typically managed with compression hose and multicomponent compression wraps that can predispose them to the development of cutaneous fungal infections. The dermatophyte fungi—a common cause of infections of the skin, hair, and nails—are made up of three categories: Microsporum, Trichophyton, and Epidermophyton. In clinical practice, the term “tinea” is used to describe the fungal disease, followed by the location of the infection. Onychomycosis is an example of tinea of the nail and nail plate. Untreated cutaneous fungal infection is a contraindication to active MLD. Long-term treatment is often required to treat these infections. Topical therapy should be applied twice a day for 4 weeks. Before prescribing oral therapy for cutaneous fungal infections, assess the patient’s liver function and monitor liver function during treatment. Fibromas are benign skin lesions formed by the collection of fibrous connective tissue. Fibromas that are associated with dilated lymphatic vessels can be soft stalk or mushroom-like in appearance, similar to skin tags. They are typically nontender. 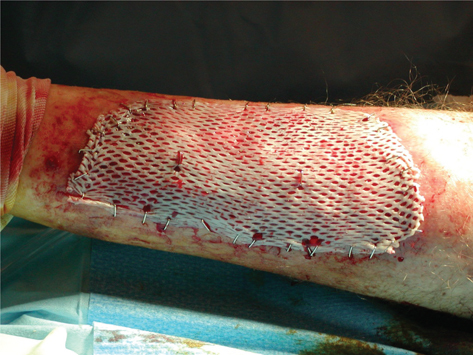 During compression wrapping, use protective barriers to prevent traumatic injury of fibromas. Treatment is generally conservative, but fibromas can be surgically removed if necessary. Fissures are cracks in the epidermis and dermis, commonly associated with a buildup of hyperkeratosis and anhidrosis. Treatment includes debridement of the hyperkeratosis and exfoliating after bathing, followed by therapeutic moisturizing creams applied to the affected area of the patient’s skin. Folliculitis is an inflammation of the hair follicle. Although there are several types of folliculitis, the most common type seen in patients with CVI, phlebolymphedema, and lymphedema is caused by mechanical irritation to the follicle. Some cases of folliculitis have a fungal component, while in others a secondary bacterial infection develops. To help prevent folliculitis, discuss with patients the importance of skin care, hygiene, prompt treatment, and moisture management, as well as friction-reduction methods in clothing, garments, and compression wrapping. Caused by red blood cells breaking down and releasing iron complexes, hemosiderin staining is a permanent discoloration of the skin in patients with chronic venous hypertension. When left untreated in the presence of CVI, hemosiderin staining is a precursor to lipodermatosclerosis. washcloth or more abrasive exfoliation products, such as loofah or mesh bath sponges. Advise patients using exfoliating-type products to replace them frequently and disinfect them with a diluted bleach solution after each scrub. Ingrown toenails, a common dermatologic problem in patients with CVI and phlebolymphedema, occur when the nail plate grows into the nail folds. Most frequently affecting the great toe, this condition can result from cutting the nail too short or angling the edges of the nail rather than trimming the nail straight across. Pressure and friction on the edge of the nail caused by shoes and compression garments can also contribute to the development of ingrown toenails. Intertrigo is caused by moisture and typically occurs between the toes and in skin folds. It appears as a white discoloration with sloughing of the epidermis and dermis layers. Intertrigo can result in partial-thickness skin ulceration and may be associated with fungal or bacterial infections. Treatment consists of cleansing the affected area with mild soap and water or a commercial cleanser and drying well. If a fungal or bacterial component is present, have the patient apply a topical treatment twice a day for 2 weeks along with an absorptive product, such as a topical antimicrobial textile, in the area of excess moisture. Lymphorrhea is the leaking of large volumes of serum fluid from a break in the skin. It occurs in patients with altered lymphatic transport and in areas with increased interstitial pressures, such as where a lymphocyst has burst and a lymph fistula formed. Treatment includes absorption, use of topical antimicrobials, compression therapy, and CDT. A lymphocyst is a collection of impaired lymphatic fluid in the adjacent connective tissue that looks like a small translucent bubble. In addition to CDT, treatment includes observation and conservative topical treatment to avoid trauma to the cyst. Special efforts may need to be taken to protect the cyst and keep it from breaking during compression. Do not use MLD over the cyst. Malignancies have been associated with CVI ulcerations and lymphedema. When lesions are present or recurring or fail to respond to standards of care, perform a thorough history, physical, and differential diagnosis for angiosarcomas, basal cell carcinoma, Kaposi’s sarcomas, melanomas, and squamous cell carcinoma. A punch biopsy should be performed or the patient referred to a dermatologist for further evaluation. If cancer is suspected, it’s recommended to withhold MLD and CDT until getting clearance from a physician. An abnormal thickening of the skin, pachydermia has a woody appearance with puzzle-shaped dermal scaling. Treatment includes skin care and compression. In addition, manual techniques more aggressive than MLD can be used to break up the fibrotic tissue. Contraindications for fibrotic manual techniques include varicosis, pain, hemophilia, anticoagulant medications, deep vein thrombosis and heterotopic ossification, and radiation fibrosis, as well as general precautions for the use of MLD in patients with CVI. Various special foams can also be used to break up fibrotic tissue. These foams include high-density foam such as Komprex Foam (Lohmann & Rauscher) and Komprex II “spaghetti foam” (Lohmann & Rauscher). 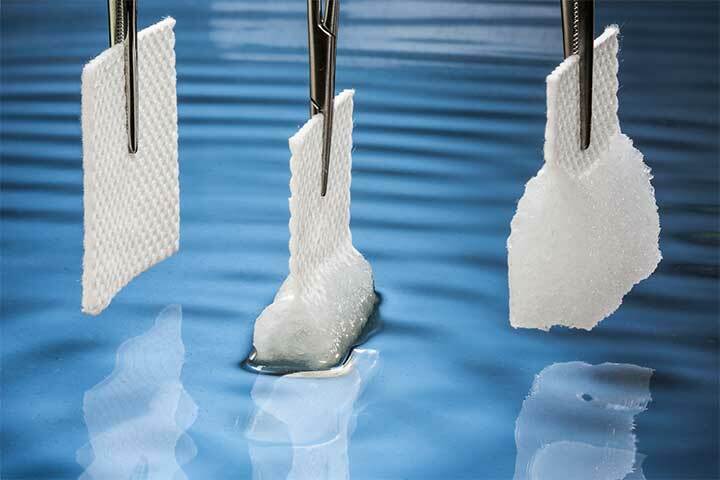 Many companies also make products for use on fibrotic tissue that can be cut or formed to fit the treatment area, including Swell Spots (Solaris) and Lymph Pads (Mediven). When using these products, consider skin integrity, pain, circulation, and general compression precautions. In addition, the same contraindications for fibrotic manual techniques should be considered depending on the product used. When using more aggressive foams such as Komprex II, monitor patients more frequently. In addition, rotate foam placement or use it on alternate days to prevent skin breakdown or blistering. The skin’s woody appearance in patients with pachydermia may show some signs of softening with treatment; however, it’s a long treatment process that requires the dedication of patients and caregivers. Commonly referred to as papillomatosis cutis lymphostatica in patients with lymphedema, papillomas are a benign skin growth of epithelial neoplasm that may contain villous or fibrous vascular outgrowths. These areas tend to be hyperkeratotic and have a furlike appearance. Due to their surface vascular supply, the villi may bleed easily if disturbed. Treatment includes selective and conservative debridement of hyperkeratosis, and exfoliating and skin care after bathing, followed by the application of therapeutic urea-based creams to the targeted areas. In patients with CVI, phlebolymphedema, and lymphedema, pressure ulcerations on the ankles, toes, knees, skin folds, and thighs are often caused by pressure, friction, and shear from wraps or garments. Treatment consists of moist wound care and offloading the area of pressure friction. In addition, foam, soft felts, and absorptive padded products can be incorporated into the plan of care. Stasis dermatitis is a response to the inflammatory state within the epidermis and dermis. Some-times referred to as eczematous, stasis derma­titis is generally located around the gaiter region of the lower extremities. Signs and symptoms include pruritus; dry, flaking skin; and occasional weeping. In addition to providing appropriate compression therapy, treatment of stasis dermatitis focuses on pruritus relief, adequate moisturization, and absorption containment and reduction of local inflammation. of the foot—is especially challenging. To offload pressure, use foam felt and gel padding to pad foot and toe deformities. Custom footwear can also be used to accommodate foot and toe deformities. In some cases, custom footwear may be covered by the patient’s reimbursement source, such as for patients with diabetes. Caused by chronic sustained venous hypertension, venous stasis ulcerations are typically irregular in shape and ruddy in color, with accompanying periulcer skin changes consistent with CVI disease. They occur most commonly on the lower extremities: in the lower leg, medial or lateral gaiter region, proximal to the ankle, as well as distal to the malleolus. Treatment is centered on the CVI clinical, etiology, anatomy, and pathophysiology (CEAP) classification, pathology presentation, moist wound care, management of the bioburden, compression therapy, and patient education. Patients with phlebolymphedema who have venous stasis ulcerations should be referred to a lymphedema therapist for decongestive therapy in conjunction with the standard of care. The management of skin problems in patients with CVI and phlebolymphedema requires a multidisciplinary approach. The team needs to understand the cause of the disease, use of appropriate diagnostic testing, and the importance of closely supervising implementation of the treatment plan. The team should consist of medical practitioners trained in wound care and lymphedema management, including physicians, specialist physicians, nurse practitioners, wound care nurses, nurses, physical therapists, occupational therapists, and certified lymphedema therapists. In addition to care from specialty-trained providers, patient and caregiver education and adherence are paramount to the successful management of this disease process. Clinicians must also stress to patients the importance of good daily skin care, edema management, and prompt treatment of complications by a trained professional. of-varicose-veins. Accessed October 23, 2013. Bryant R, Nix D. Acute and Chronic Wounds: Current Management Concepts. 4th ed. St. Louis, MO: Elsevier Mosby; 2012. Chen WYJ, Rogers A. Recent insight into the causes of chronic leg ulceration in venous diseases and implication on the other types of chronic wounds. Wound Repair Regen. 2007 Jul-Aug;15(4):434-49. Flugman S, Elston D. Stasis dermatitis medication. http://emedicine.medscape.com/article/1084813-medication#showall. Accessed October 23, 2013. Foldi M, Foldi, E. Foldi’s Textbook of Lymphology: For Physicians and Lymphedema Therapists. 2nd ed. Munich, Germany: Elsevier GmbH; 2006. Gloviczki P, Comerota AJ, Salsing MC, et al. The care of patients with varicose veins and associated chronic venous diseases. Clinical Practice Guidelines of the Society for Vascular Surgery and American Venous Forum. J Vasc Surg. 2011;(53 Suppl):2S-48S. Graham ID, Harrison MB, Nelson EA, Lorimer K, Fisher A. Prevalence of lower-limb ulceration: a systematic review of prevalence studies. Adv Skin Wound Care. 2003;16(6):305-16. Habif T, Campbell J, Chapman S, Dinulos J, Zug K. Skin Disease: Diagnosis and Treatment. 3rd ed. St. Louis, MO: Elsevier, Saunders; 2011. Hampton S. Chronic oedema and lymphedema of the lower limb. Br J Community Nurs. 2010;(15Suppl):4S-12S. Johnson J, Paustian C. Guideline for the Management of Wounds in Patients with Lower-Extremity Venous Disease. WOCN Clinical Practice Guidelines Series. Glenview, IL: Wound, Ostomy and Continence Nurses Society; 2005. Lasinski BB, Thrift KM, Squire D, et al. Systematic review of the evidence for complete decongestive therapy in the treatment of lymphedema from 2004 to 2011. PM R. 2012;4(8):580-601. Meissner M, Gloviczki P, Bergan J, et al. Primary chronic venous disorders. J Vasc Surg. 2007;(46Suppl):54S-67S. Mosti G, Partsch H. Compression stockings with a negative pressure gradient have a more pronounced effect on venous pumping function than graduated elastic compression stockings. Eur J Vasc Endovasc Surg. 2011;42(2):61-66. National Lymphedema Network. Lymphedema Risk Reduction Practices Updated May 2012. www.lymphnet.org/lymphedemaFAQs/riskReduction/riskReduction.htm. Accessed October 23, 2013. Partsch H, Menzinger G, Mostbeck A. Inelastic leg compression is more effective to reduce deep venous refluxes than elastic bandages. Dermatol Surg. 1999;25(9):695-700. Ramdial PK, Chetty R, Singh B, Singh R, Aboobaker J. Lymphedematous HIV-associated Kaposi’s sarcoma. J Cutan Pathol. 2006 Jul;33(7):47481. www.ncbi.nlm.nih.gov/pubmed/16872469. Accessed October 23, 2013. Ruocco E, Brunetti G, Brancaccio G, Lo Schiavo A. Phlebolymphedema: disregarded cause of immunocompromised district. Clin Dermatol. 2012;30(5):541-43. Siddons S. How often should I replace my bath sponge? http://health.howstuffworks.com/skin-care/cleansing/basics/how-often-replace-bath-sponge.htm. Accessed October 23 2, 2013. Slone-Rivera N, Wu S. A guide to compression dressings for venous ulcers. Podiatry Today. 2012;25(2). www.podiatrytoday.com/guide-compression-dressings-venous-ulcers. Accessed October 23, 2013. Vlahovi T, Schleicher S. Skin Disease of the Lower Extremities: A Photographic Guide. Malvern, PA: HMP Communication LLC; 2012. Weissleder H, Schuchhardt C. Lymphedema: Diagnosis and Therapy. 4th ed. Essen, Germany: Viavutak Verlag GmbH; 2008. Williams A. Chronic oedema in patients with CVI and ulceration of the lower limb. Br J Community Nurs. 2009;(14 Suppl):4S-8S. Zuther J. Lymphedema Management: The Comprehensive Guide for Practitioners. 2nd ed. New York, NY: Thieme; 2009. Nancy Chatham is an advanced practice nurse at Passavant Physician Associates in Jacksonville, Illinois. Lori Thomas is an occupational therapist and certified lymphedema therapist at Culbertson Memorial Hospital Therapy Services in Rushville, Illinois. Michael Molyneaux is medical director for advanced wound healing and hyperbaric medicine at Passavant Area Hospital in Jacksonville, Illinois. 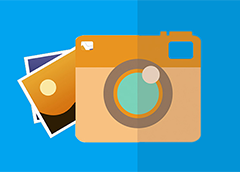 Wonderdul information! Thank you! I was curious as to where pneumatic compression fits in with your treatment suggestions? It is a great benefit covered by Medicare and many insurances and has a great evidence base– Dr. Olezewski has many studies on the subject. We have had amazing outcomes with our CVI, phlebolymphedema, and primary lymphedema patients.